Our daily adventures can easily be captured with iPhones, but taking the photo is just a tip of the iceberg. The true fun starts in the photo editing process when you begin to explore the endless options that the apps for iPhone provide. All models of iPhones offer support for a large number of photo editing apps, which means that you can turn your pictures into a work of art even if you don't have the latest model of iPhone. Scroll down to find out which apps can provide the best photo editing experience to iPhone photographers. You May Also Like: How to Take Photos While Recording Videos on iPhone. iPhonography has never been more popular, and iPhone owners who want to take selfies or capture beautiful landscapes can only benefit from using iPhone photo editors that enable them to enhance their photos. These are some of the best photo editing apps for iPhones that will assist you in creating a wide variety of different styles of photos. 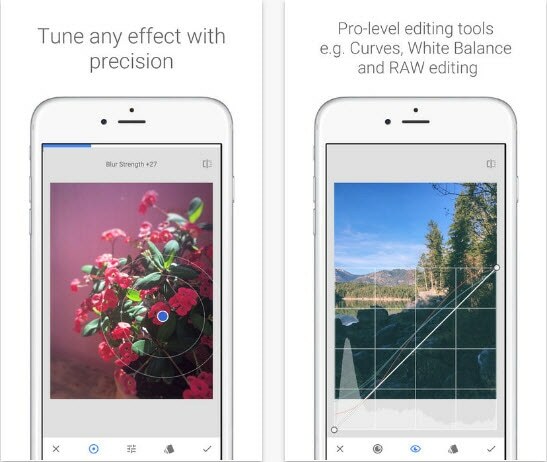 Unlike so many other apps that provide a limited scope of options, Snapseed can be described as all in one app that allows its users to perform almost any photo editing task. The app offers support for both JPEG and RAW files, which means that you can it to produce high-resolution images. A large number of filters and photo editing tools such as Perspective or HDR guarantee that everyone who downloads this free app will have a superb photo editing experience. The fact that Enlight was selected as 2015 App of the Year in UK, Germany, France and four other countries suggests that this all in one app can perform miracles on your photos. Its users can utilize it to produce perfect black and white photos or to apply analog and duo filters that create a special atmosphere on a photo. If you'd like to gain access to a long list of remarkable photo editing options you can purchase Enlight at the App Store for just $2,99. The background blur creates a feeling of depth in a photo, but it also highlights the subject of a picture, and for that reason apps such as AfterFocurs can help you create a professional looking photo with your iPhone. 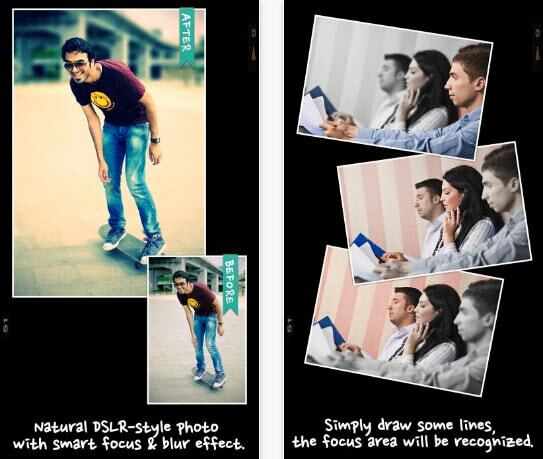 Features like Smart Focus or Double Photo make blurring the background of your photos with this app a simple task. What's more AfterFocus offers a wide range of filter effects that can be used to enhance photos, but you must invest $0,99 if you want to use this app. Experienced photographers know that the lenses, especially wide angle lenses, create distortions that can be very annoying and even ruin a photo. SKREWT app is a tool specifically created for the purpose of correcting lens distortions and as such, it is an essential part of iPhone photography setup. The app can be used to edit images captured with Drones, GoPros or DSLR cameras and it lets its users change the perspective on a photo. 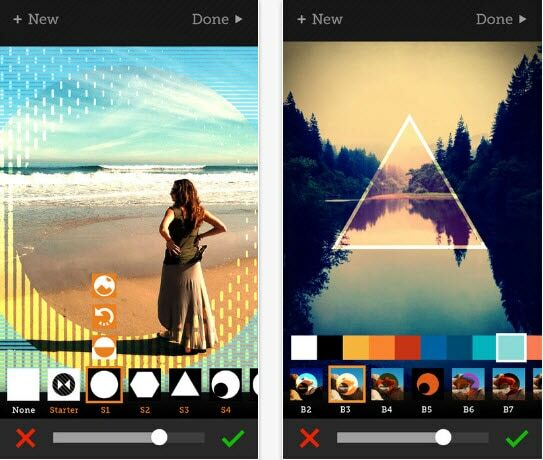 This photo and video editing app can be purchased for $1,99. Selfies are probably the most popular type of a photo today, and if you would like to take selfies you create with your iPhone to a new level, our advice is to use Polarr Photo Editor. The Advanced Auto-Enhance feature makes sure that faces on your photos are always perfectly toned and sharp. Polarr lets you control color and light values, add blur or apply gradients, which is the reason why it can be considered one of the best iPhone photo editing apps. Adobe Photoshop Fix has a reputation that can hardly be clouded by any other iOS app ever created. Even though this app provides a staggering amount of tools that allow you to edit your self-portraits to perfection, it is fairly easy to use. 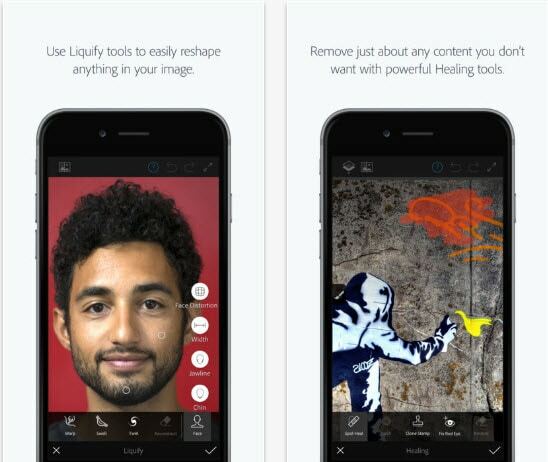 The Face-aware Liquify feature enables you to make each face you capture with your iPhone even more beautiful, while other options provided by this app allow you to have complete control over the photo editing process. Paying $1,99 for Tangent app is a great investment for all iPhone photographers who are looking for a quick way to add photo filters to their photos. Besides being one of the best iPhone photo editors available this app is also a social media heaven since it allows you to share your photos instantly on Instagram, Facebook or Twitter. With more than 350 combinations of colors and a plethora of other features, Tangent is unquestionably one of the best photo editing apps for iPhones. VSCO is much more than just an iOS app, it is a community of like-minded people who share the passion for photography. Even though the app itself is free to download, a membership in the VSCO community costs $19,99, which is a symbolic fee when compared to the number of possibilities it offers. iPhone photographers who choose to utilize one of the best photo editing apps for iPhone ever created will be provided with all the tools they need to produce remarkable photos. 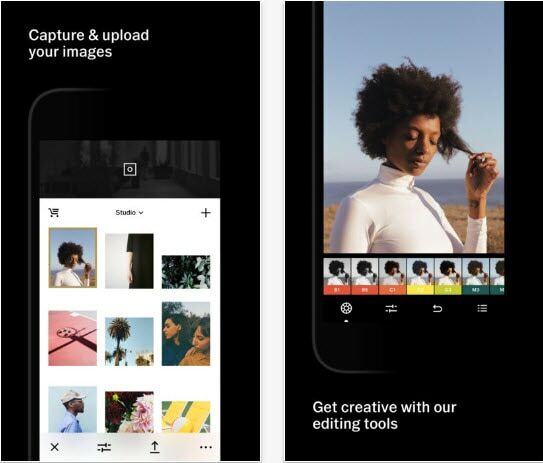 If you are looking for an app that allows you to quickly apply a filter and which offers advanced photo editing features at the same time, then MIX is a perfect choice for you. 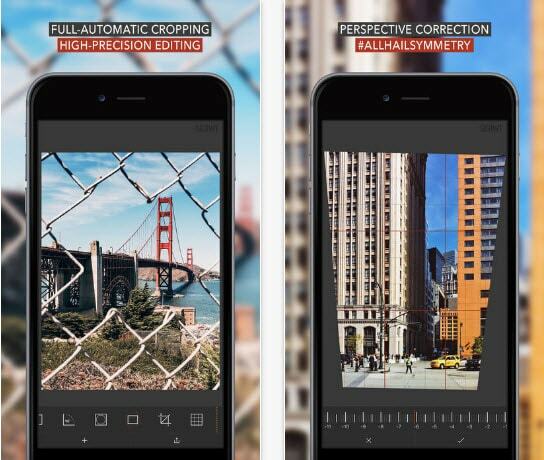 This app provides more than 130 photo filters that can be applied with a single tap, while you can also utilize Curves or Split Toning features if you'd like to edit your photos in a more professional manner. 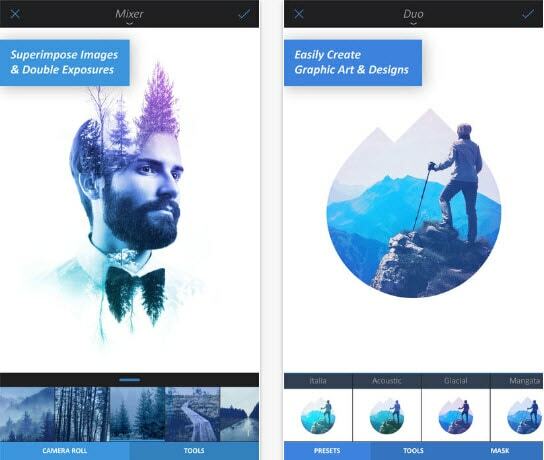 Mix is a free app that even lets you create your own filters, which makes it one of the best photo editing apps for iPhone. 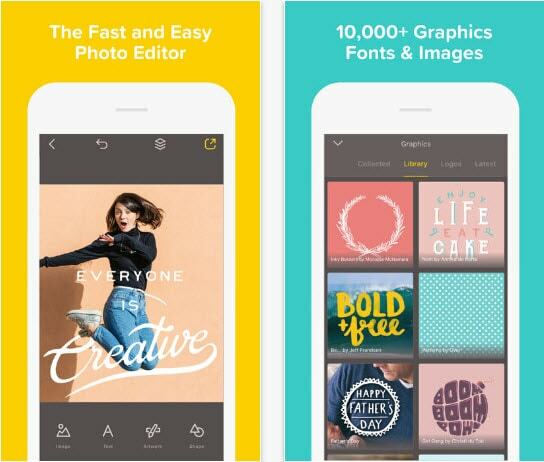 In addition to 47 font styles, this app also has an impressive amount of photo editing tools which can be used to create photos that take the viewer's breath away. In order to add text to an image, you only need to type in the text, select a font and the image you want to use as a background. 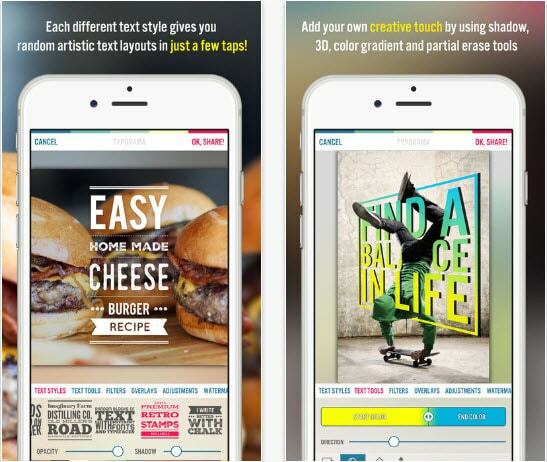 Various text color variations allow the users of this remarkable app to generate text layouts that really stand out. Creating inspirational pictures, memes or any other kind of picture that contains text with this app is fun and easy. Over Edit and Add Text to Photos offers more than 25.000 fonts and graphics that will allow you to create images your followers on social media are going to adore. Furthermore, this photo editing app for iPhones offers a large number of different overlays and photo filters which guarantee that each photo you edit meets the highest aesthetic standards. 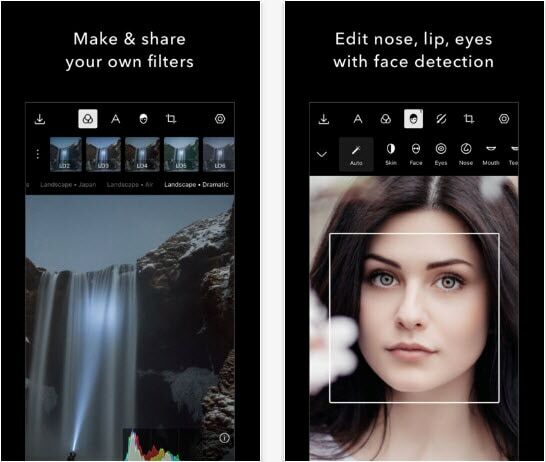 A quick look at the list of features provided by this app will be enough to explain why Filterstorm Neue is one of the best photo editing apps for iPhone. 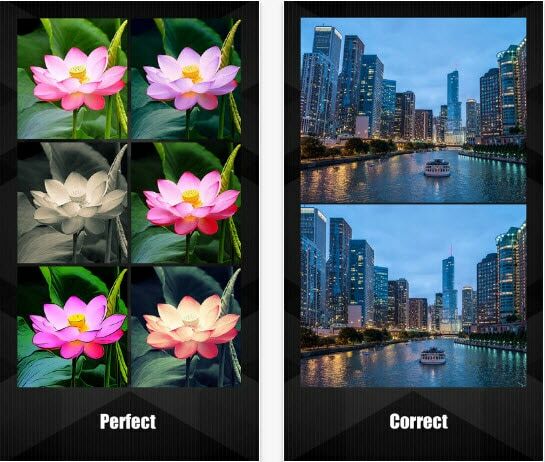 Photo editing options such as Channel Mixer, Curves or Color blending enable iPhone owners to have complete control over the color correction process. 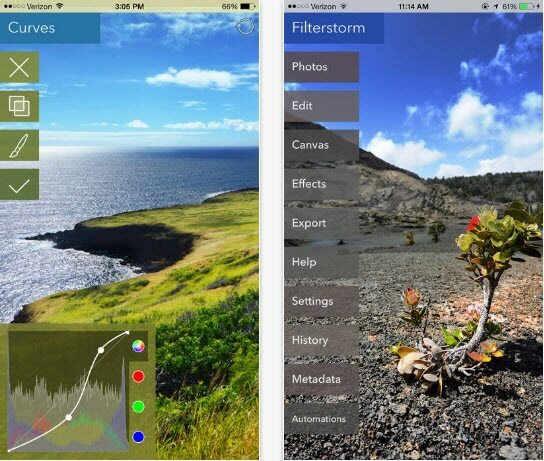 Fiterstorm Neue isn't a free app, and it can be purchased for $3,99 on the App Store. However, the fee you have to pay in order to use this iPhone photo editor is insignificant when compared with amazing features it offers. The iPhone cameras allow photographers to take good photos, but photo editing apps should be used to develop those images and make them great. Each photo editing app on this list will enable you to polish your photos to perfection, and create images that will attract attention on social media. We would love to hear which iPhone photo editors you like to use the most, so feel free to share your thoughts with us in the comments, and hit share to let your friends know which are the best photo editing apps for iPhones. How to Use iPhone 7 Plus’s Dual Lens Camera?